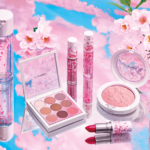 Whether you live in a warm climate year around, or are in a state where we summer’s nearly over before it starts, having a good waterproof makeup is a must. 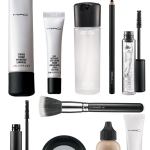 Now, the MAC Pro Longwear lineup features a new tenacious waterproof foundation and pressed powder with long wear, shine-free finishes. 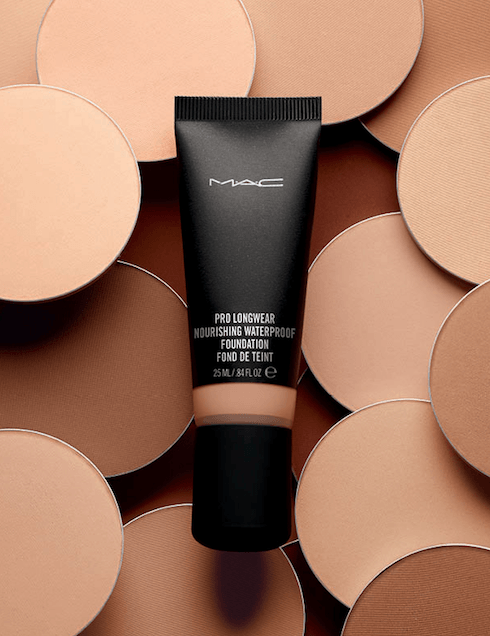 The new M·A·C Pro Longwear Nourishing Waterproof Foundation ($32) can take the heat and just about whatever else you throw at it. 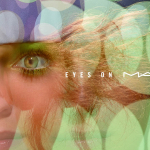 It feels weightless once on and the formula provides a medium to full buildable coverage. You’d think blending would be difficult, but it’s not hard to blend at all. If you tend to sweat off your makeup, this formula was developed to actually repel moisture from the surface of the face. 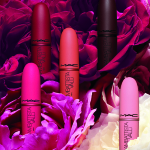 There are 16 shades available; I tested NC30, which is what I would consider a medium shade. As I have combination skin, I tend to run dry in the winter with “shininess” in the T-zone in the summer. Although we haven’t had many hot days yet, I have tested Pro Longwear Nourishing Waterproof Foundation in a variety of conditions and really like it. I’ve found it to be long-wearing, sweatproof and I’d definitely reach for it in the heat. The stay-all-day formula looked good hours after application. 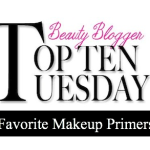 If you use a primer and tend to have oily to combination skin, I’d recommend pairing this foundation with MAC Prep + Prime Skin Refined Zone Treatment. Just like when I buy a purse and have to have the matching wallet, I’m the same with foundation and pressed powder. I like having products that work together. 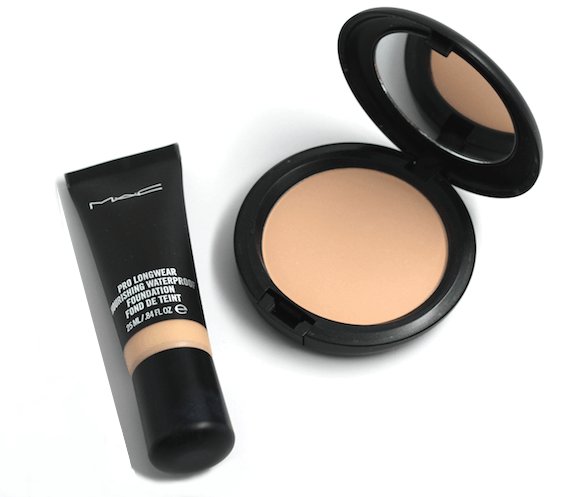 The new M·A·C Pro Longwear Powder/Pressed ($26) complements the Pro Longwear Nourishing Waterproof Foundation perfectly. This finishing powder has sheer to medium coverage with a matte finish to keep skin shine-free for up to 12 hours. There are 11 shades available; I tested the Medium shade (above) and found it to be an excellent match to the NC30 foundation. Your summer sweatproof-skin strategy should definitely include M·A·C Pro Longwear Nourishing Waterproof Foundation and Pressed Powder. 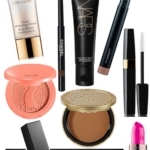 Look for these products in department stores, including Nordstrom and at maccosmetics.com.